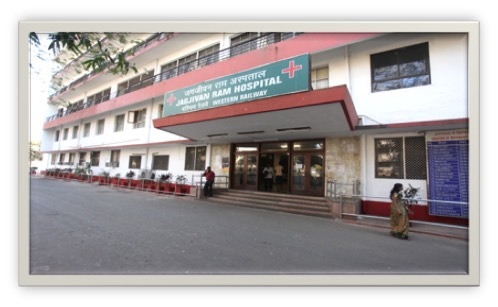 The Jagjivanram Hospital (JRH) is Zonal Hospital of Western Railway Zone of the Indian Railways under Ministry of Railways of Central Government of India for treatment of the Railway employee, and their families. It is a tertiary level referral hospital with bed strength of 342, which caters to 8 Divisional & Sub-Divisional (secondary level) and, 56 Dispensaries (primary level) from Western Zone including Ratlam, Vadodara, Ahmedabad, Bhavnagar, Dahod, Balsad and Mumbai. It is located at Mumbai Central area of South Mumbai with headquarter situated at Charchgate, Mumbai.